After analyzing the style choices of Eugenie of York in hundreds of public appearances, we teased out the elements defining her extravagant look. 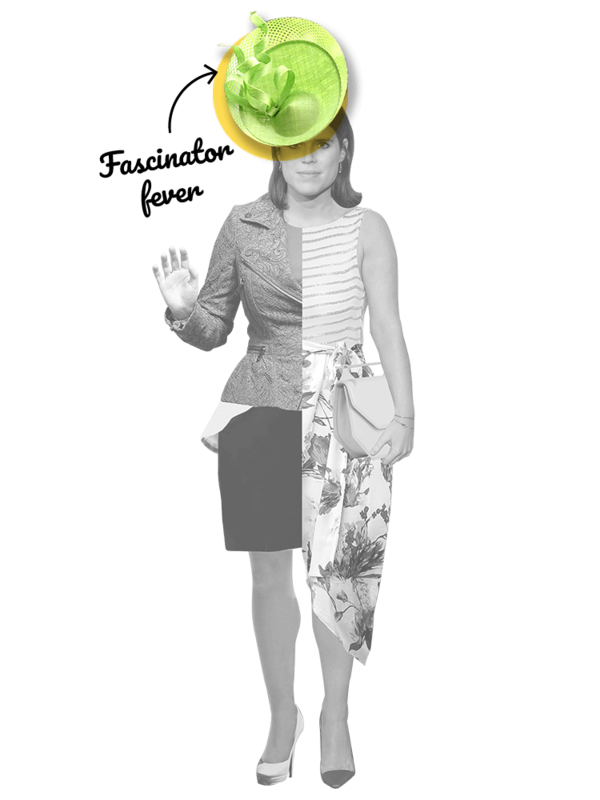 This interactive article will show you the eight keys to understanding how she dresses. 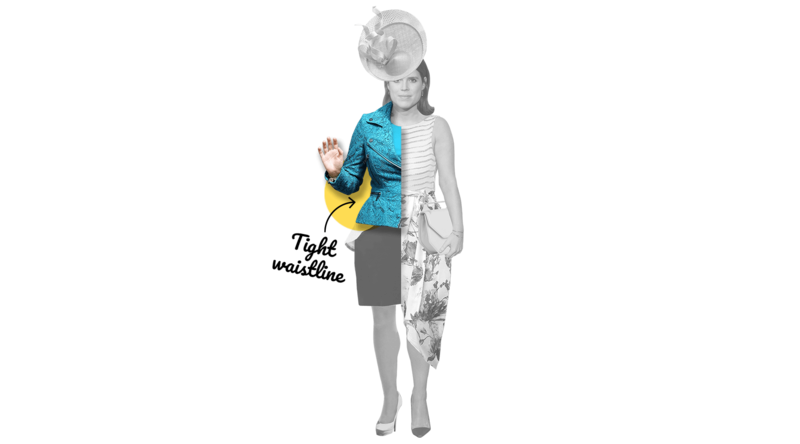 Eugenie stands out from the other royal women because of her style. 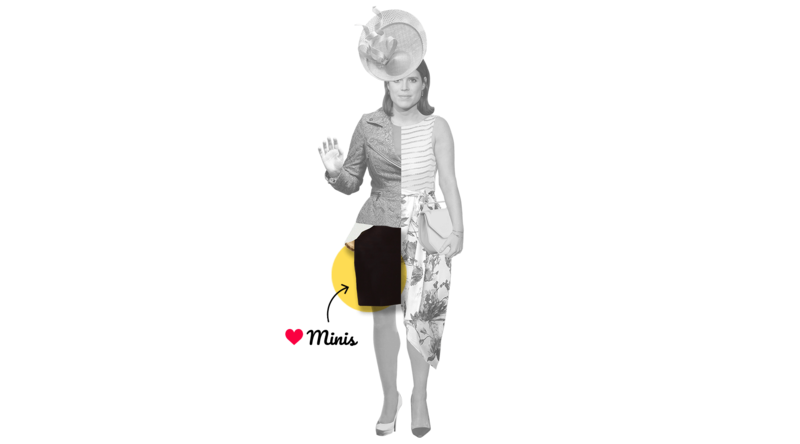 Her stylish looks brings together extravagant hats, a wasp waist, discretely plunging necklines and details that have made her the princess of fashion. 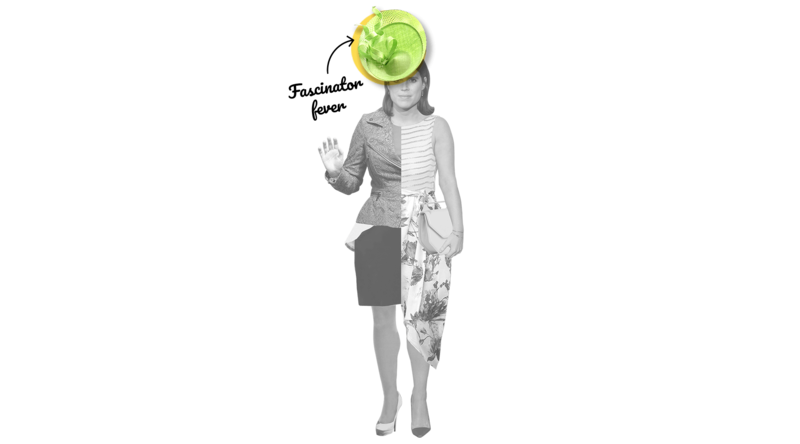 The Princess is an expert in the art of covering her head with hats and fascinators at official events. 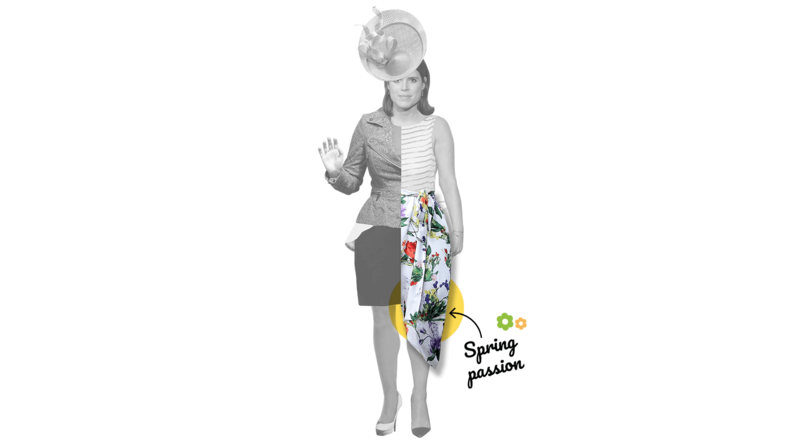 Eugenie has flaunted, for years, the most outlandish head coverings, which have made her the center of everyone’s attention. 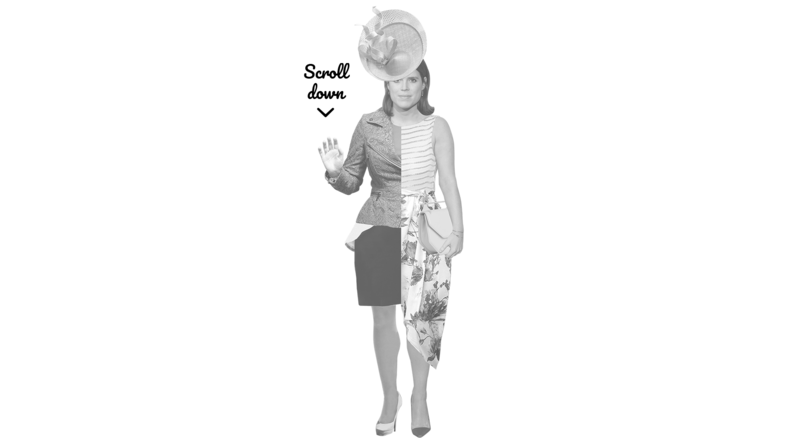 Eugenie likes to wear her hair loose on her shoulders. If she decides on a hair-do, the simple style highlights her fascinators. With buttons or zippers, the Princess always wears jackets that tightly fit her form and highlight her dainty waist. 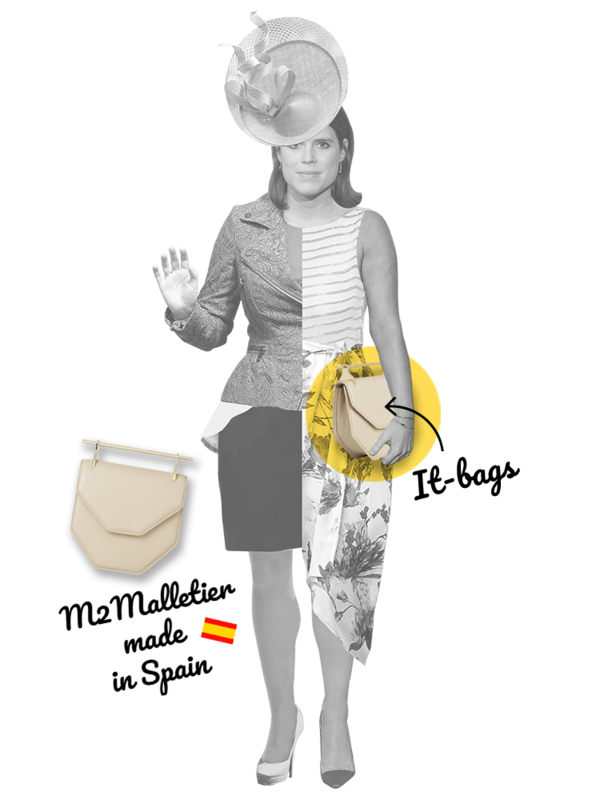 Short jackets are another trademark of Eugenie’s style. 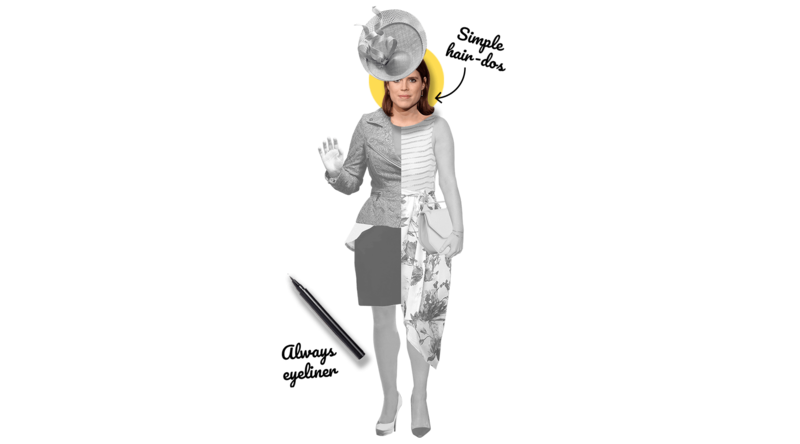 Eugenie often chooses sleeveless dresses, which leave her arms uncovered. When she is sleeveless, she balances this perfectly, with round and closed necklines. 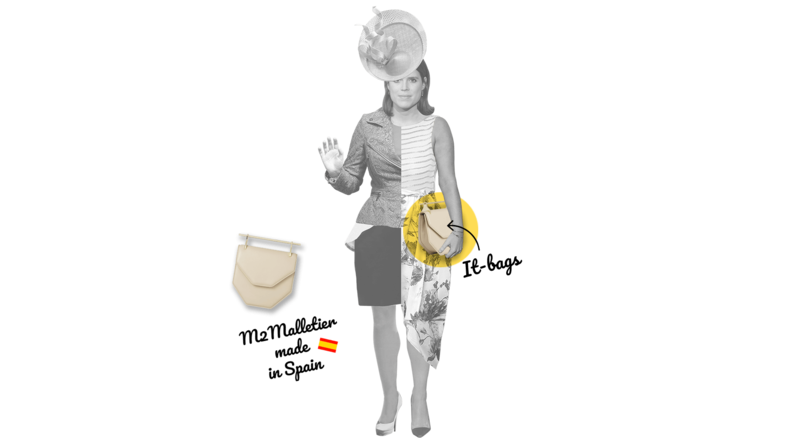 Instead of more classical clutches, Princess Eugenie wears small, structured bags, more typical of influencers, than of women belonging to the royalty. 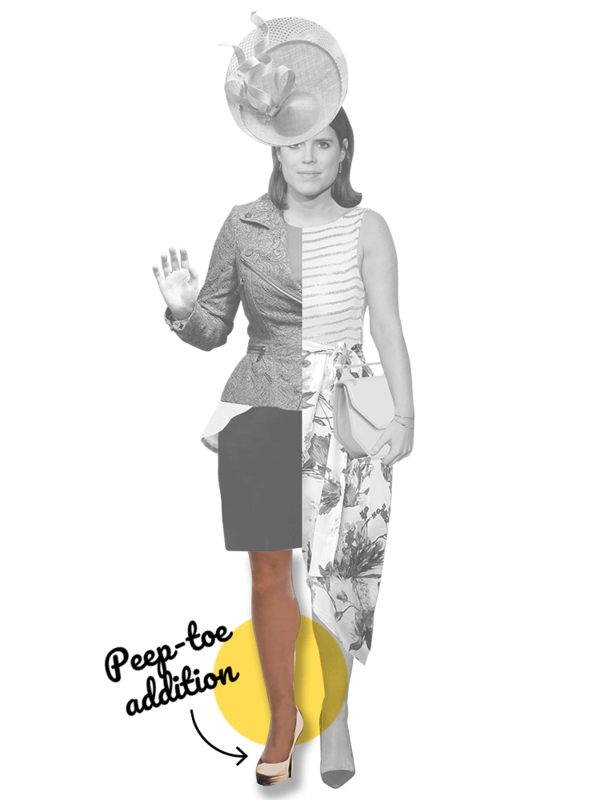 Although British protocol prefers dresses just above the knees, Eugenie has worn skirts as high as nearly her mid-thighs.. A worthy irreverence of her royalty status 'but not holding court'. Large flowers, bright colors and flashy patterns. For several seasons now, the Princess has made these fun designs one of her best allies. For summertime, the Princess of York has not fallen into the temptation to wear sandals. She chooses the most discreet classic pumps or shoes with a ‘peep-toe’ tip, which only just reveal the tips of her toes. 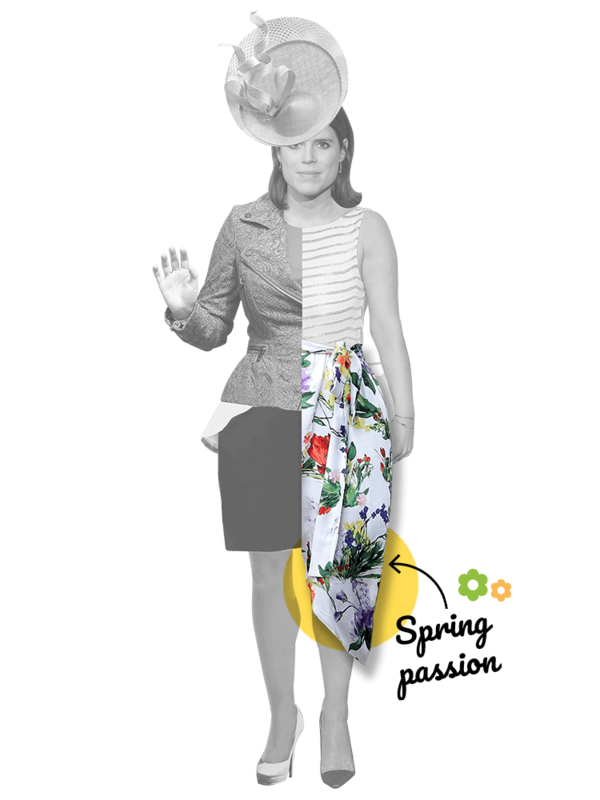 On her feet, Eugenie remains discreet. She almost always chooses pointy stilettos, with mid-size heels, and in basic colors. Sometimes, but seldom, her shoes fasten at the heel. 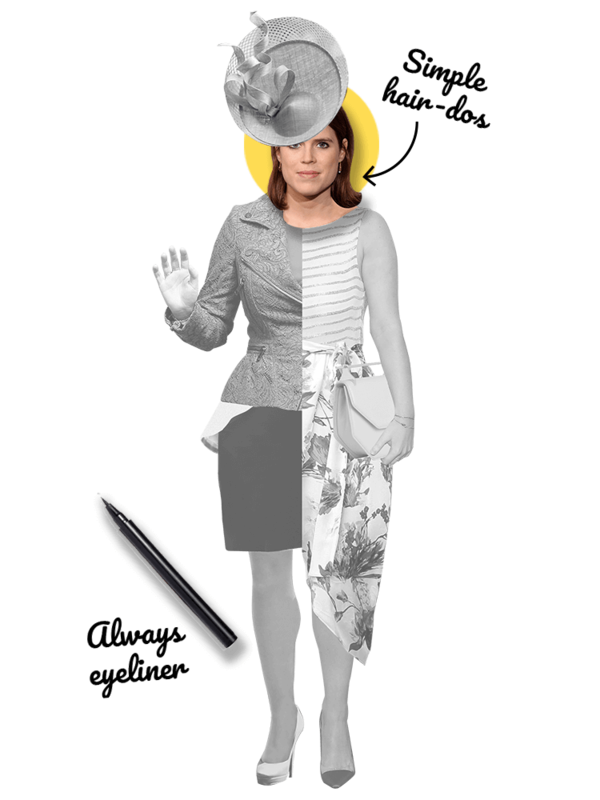 Although she is always alongside her sister, Eugenie's style makes her unique. Each of these elements have given her that particular, unmistakable air that defines her. All these style details were taken from photographs of the Princess during official events. 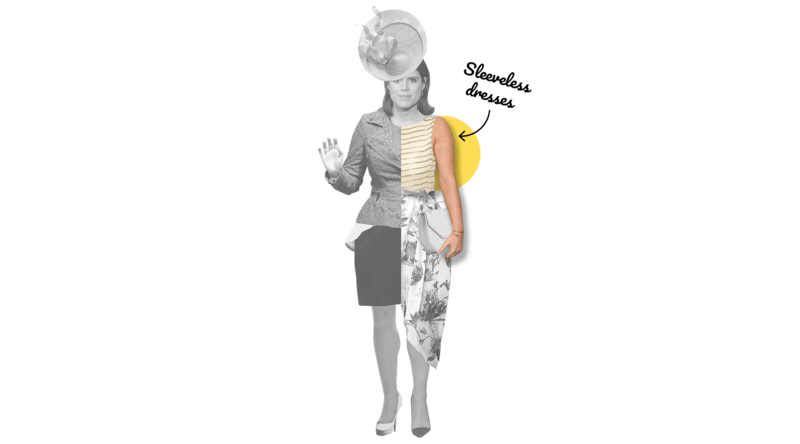 Since she was a little girl and right up to a few days before her marriage, Eugenie has been a constant media presence, an indispensable guest at social happenings, and easy prey for the paparazzi. So, after tracking all these well-defined signs, it is not hard to imagine the lines guiding designers, when creating her (anxiously awaited) bridal gown, and wedding guests in choosing their own clothing to fit right in. IMAGES: Getty Images and Associated Press.